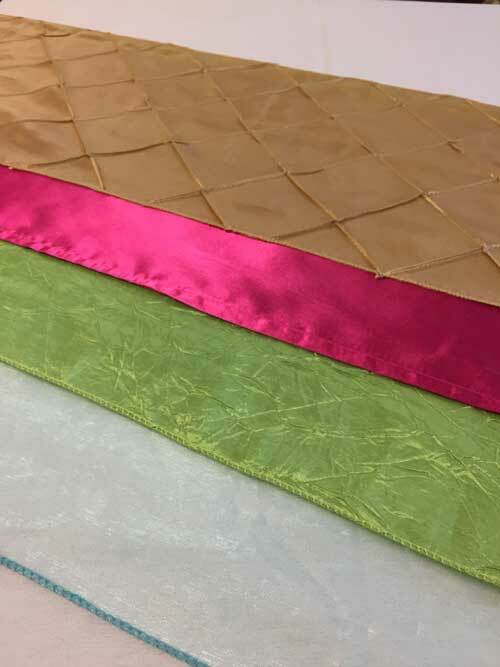 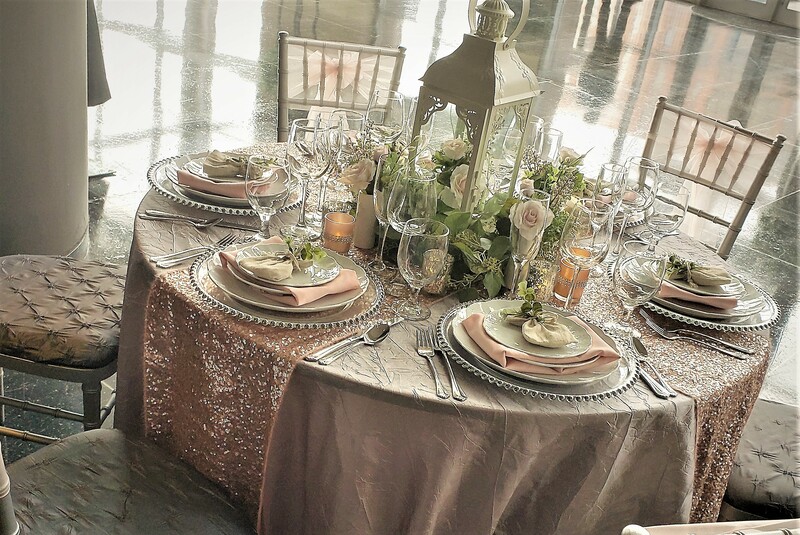 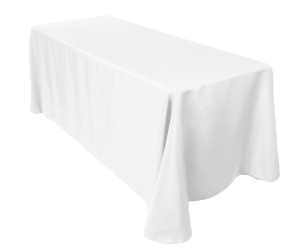 We now have specialty linens click below to see fabric, color & size options. 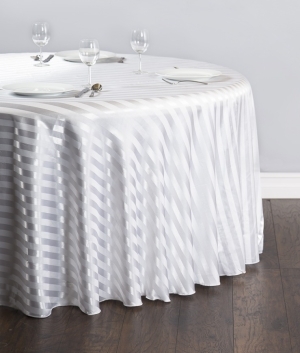 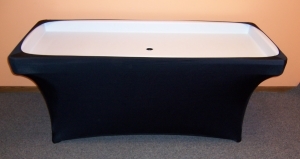 Click here for our specialty linens. 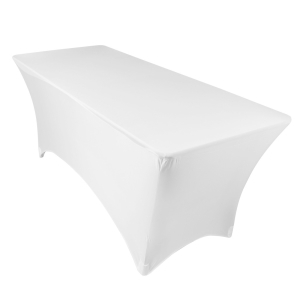 For 30" Bistro or 30" Square Cocktail Tables. 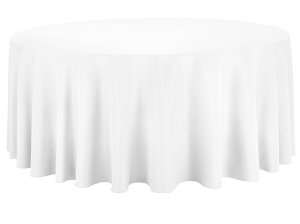 For 30" Bistro or 30" Square Cocktail Table or 36" Round. 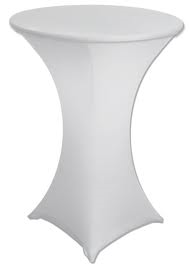 For 48" Round or 42"H Bistro Table. 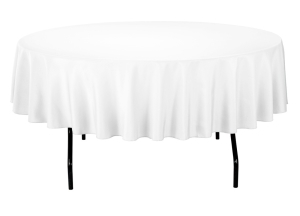 For 60" or 72" Round Table or 42"H Bistro table. 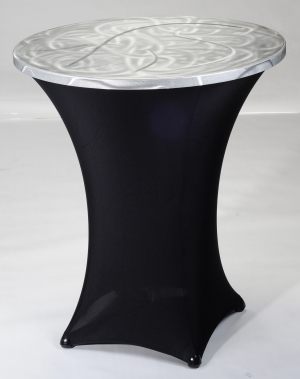 For 48" Round Tables floor length, Bistro Tables just above floor and 60" Round Tables 3/4 length. 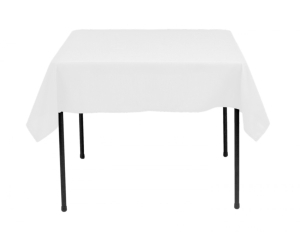 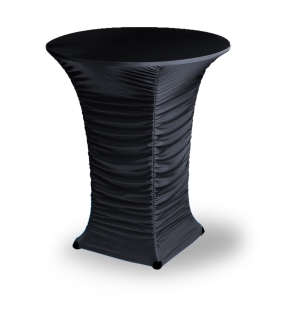 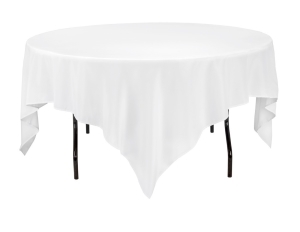 For 72" Round Table floor length or for Adjustable Bistro table when tying a sash to center pole. 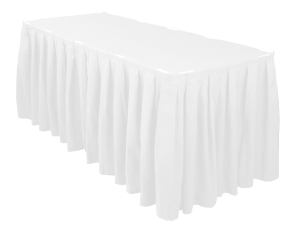 Table Skirting - 13.5' x 29"
For 30" Round x 42"H Bistro table. 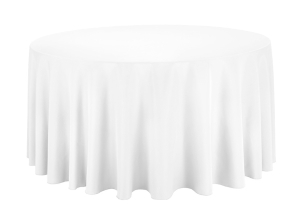 Linens available in white, ivory and black in house. 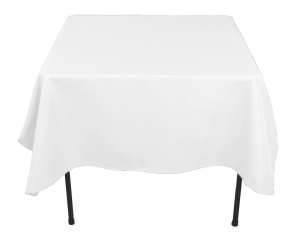 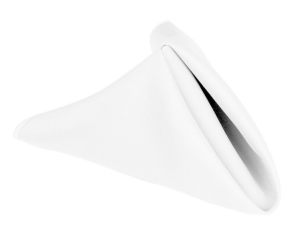 Napkins available in white, ivory and a few select colors at no additional cost. 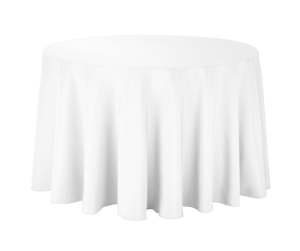 Linens must be free of food and refuse when returned. 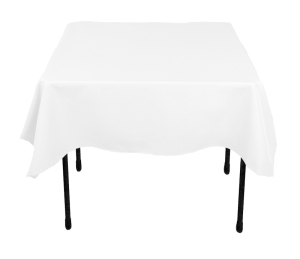 Please keep dry to prevent mildew. 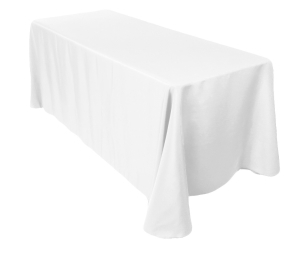 No credit will be refunded for unused linen. 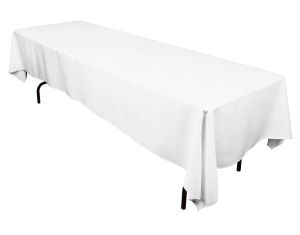 The 10% damage waiver fee is nonrefundable and included for all linen orders.